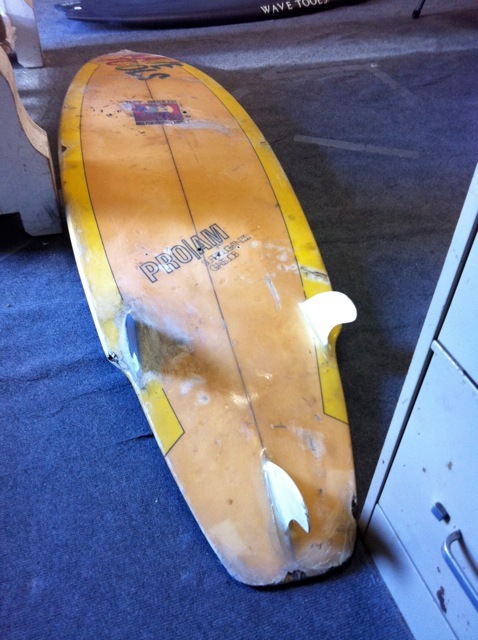 : Board Collector: Illawarra Part 2. 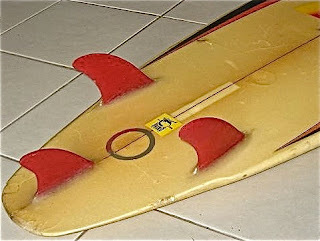 Marty sent me the link to this board on ebay Oz because he knew I would just LOVE it. 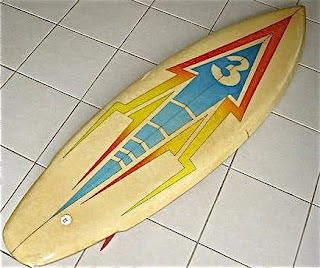 Its fantastic, the hand cut "3" stencil that was clearly inspired by Simon Anderson's "3 fin thruster" logo. 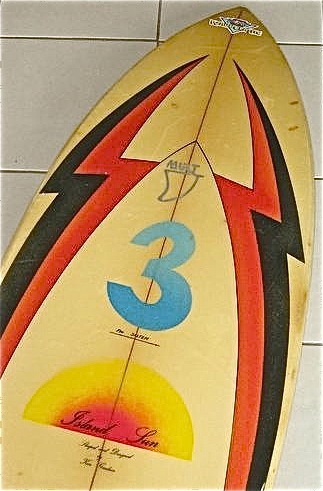 This is clearly the work of an excited enthusiast in 1981. 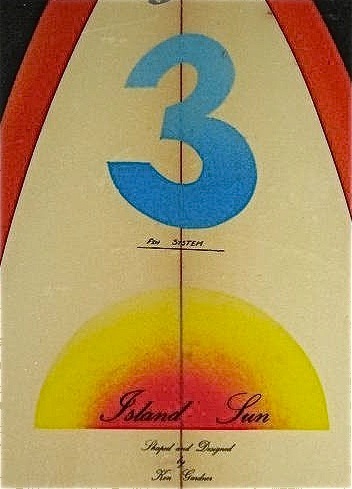 It is an ISLAND SUN 5'10" x 19 1/2" x 2 11/16" shaped and designed by Ken Gardner on the New South Wales Central Coast. The fin set up looks a little wacky and out of place like the Wave Tools tri fin from the same era. These boards were probably shaped within a few months of each other on opposite sides of the globe, inspired by the magazine articles about Simon's win at Bells and Narrabeen.